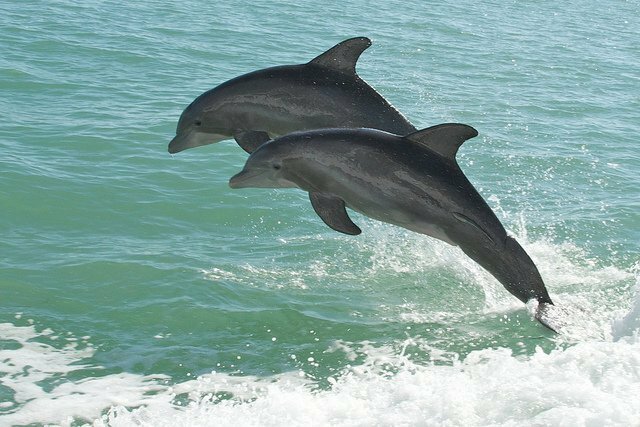 These much-loved marine creatures are well known for their intellect and playful behavior. 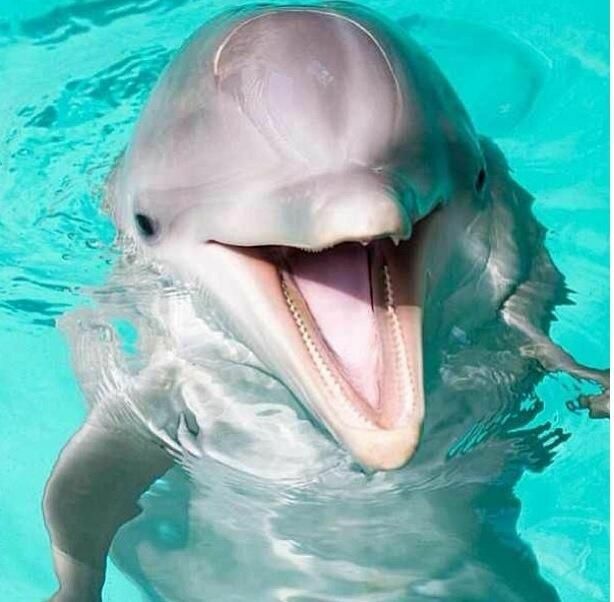 Dolphins are marine mammals. 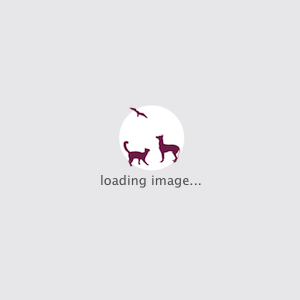 And like every mammal, they are warm-blooded and give birth to live babies. 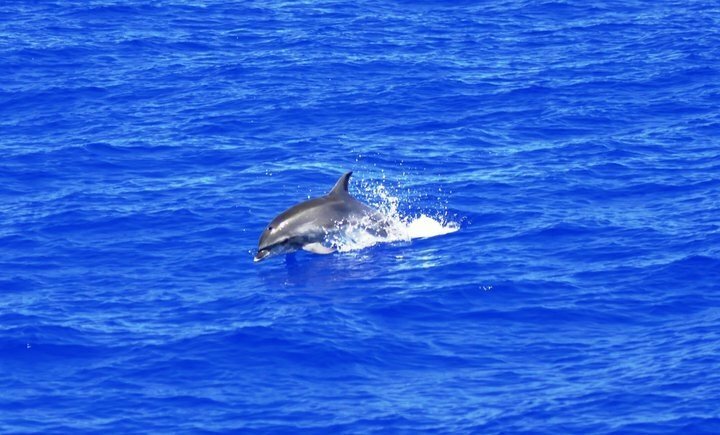 Take a break and go through these beautiful photos and learn more interesting facts about dolphins. 1. 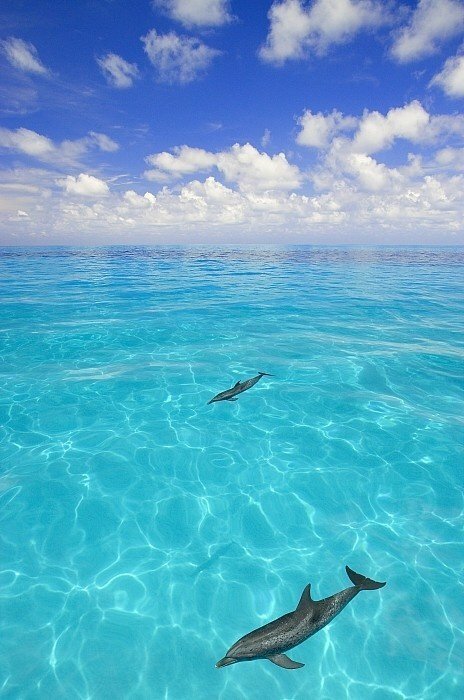 There are almost 40 species of dolphins swim the waters of the world. 2. Most of the species live in saltwater, but there are some that live in rivers and lakes. 3. 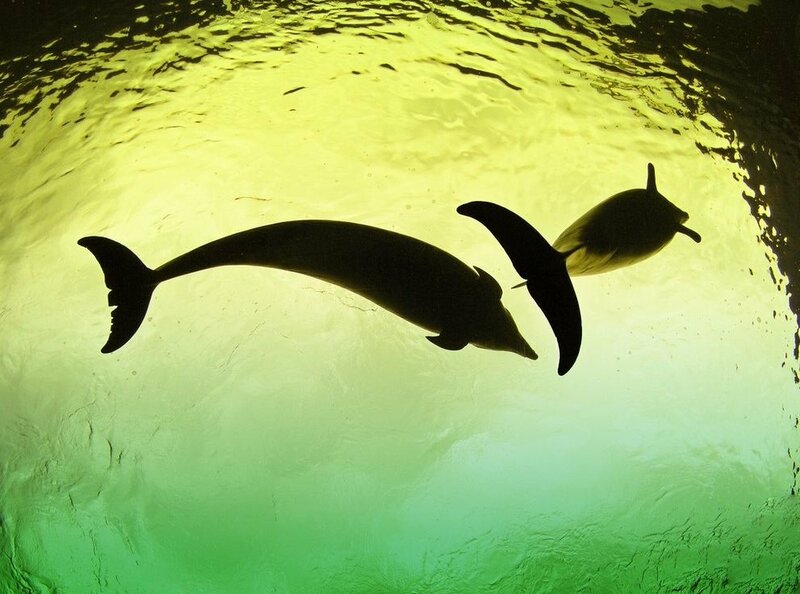 Dolphins can range in size from 4 – 30 feet, and weigh between 90 pounds and 11 tons. 4. 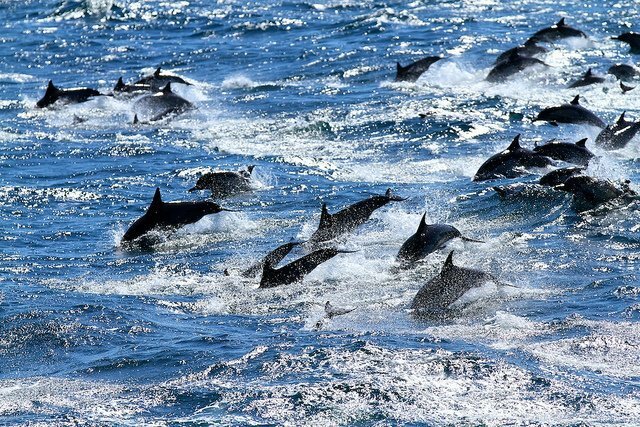 Dolphins are very social creatures, they live in groups called pods. 5. 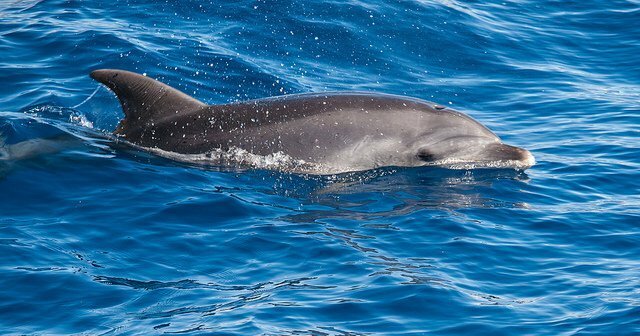 Dolphins have a unique sense of hearing. They communicate with each other through sounds and whistles. 6. 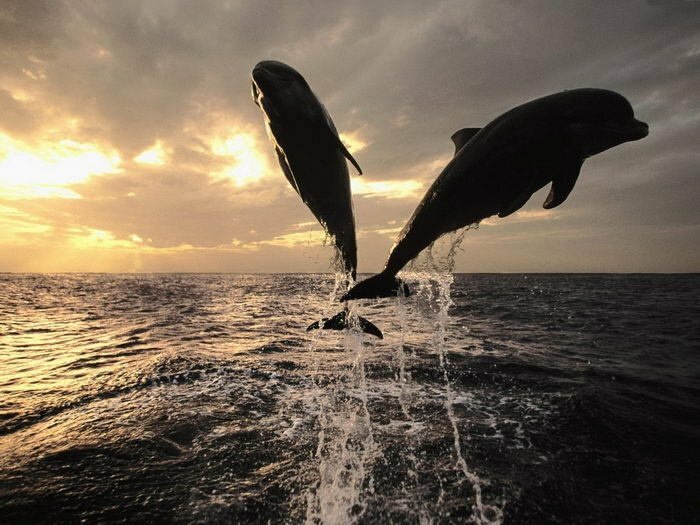 Some species of dolphins have been known to swim as deep as 1000 ft, jump as high as 30 feet out of the water and travel as fast as 25 miles per hour. 7. 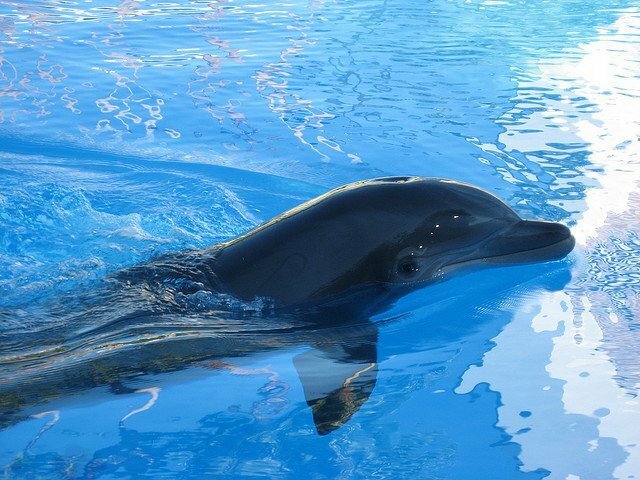 Female dolphins are called cows, males are called bulls and young dolphins are called calves. 8. 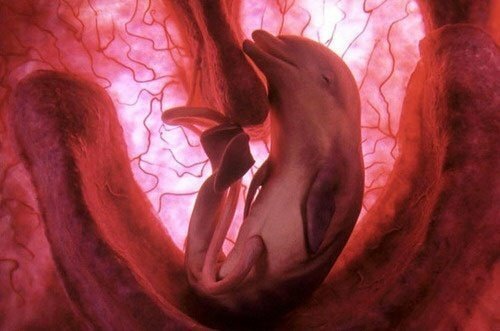 A female dolphin nurses for up to 2 years. Babies stay with the mothers anywhere from 3 to 8 years. 9. 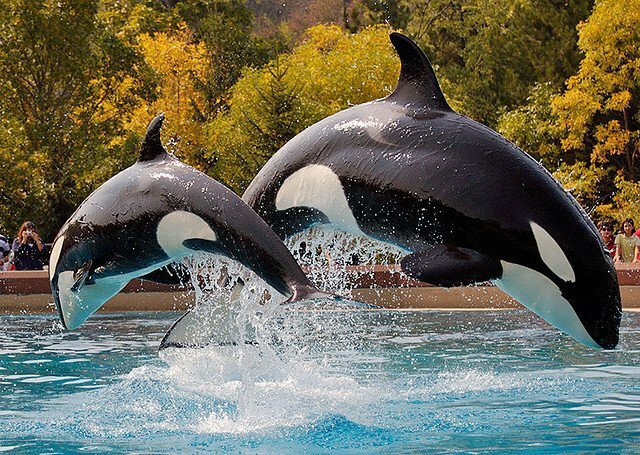 The Killer Whale (also known as Orca) is actually the largest type of dolphin. 10. The most well known of all dolphin species is the Bottlenose Dolphin. 11.These underwater mammals always seem to be smiling!